I’ve written a few times about my interest in pop-ups on this blog. I’ve played around with making them and I’ve found some toys with which to make them better. 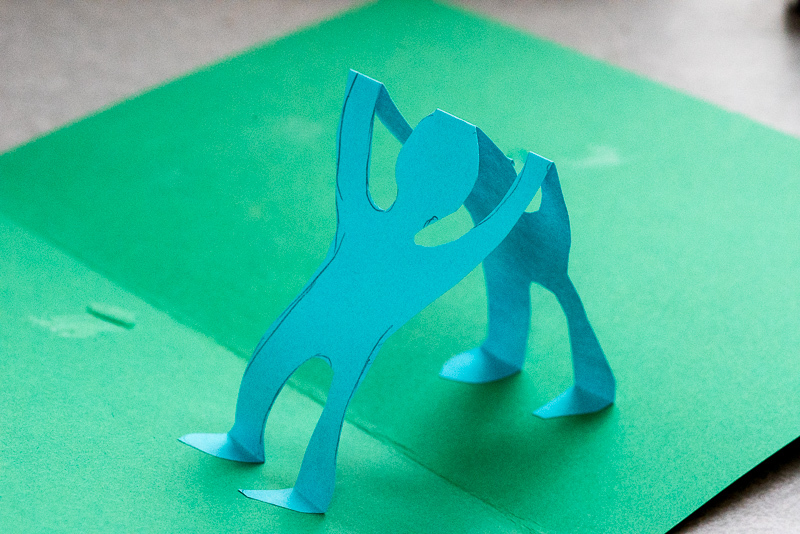 But pop-ups can be hard, and after a lot of play, I found myself a little discouraged. I would try and try, but I wouldn’t seem to approach a working solution. I put my pop-ups aside for a bit. 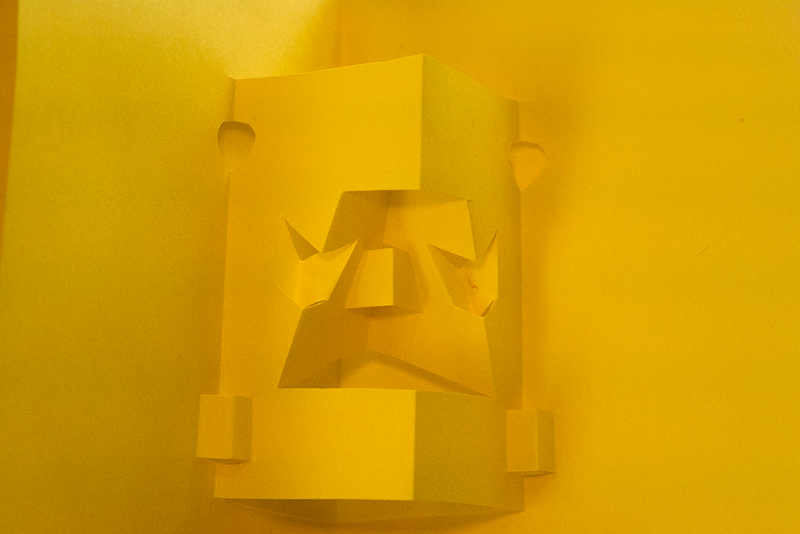 Then, last weekend, I took a pop-up book class through a local club. The class was instructed by Carol Barton, who has written several pop-up instructional books, as well as produced several artistic pop-up books. We made dozens of pop-ups in the class, ranging from very simple to more complex. We talked about different kinds of folds and cuts. Some of my pop-ups worked, some didn’t. My classmates experimented too. Carol was an excellent teacher, helping us to think intuitively about the pop-up rather than strictly mathematically. I came out of the weekend feeling much more confident. I might still make mistakes, but I work toward a better product eventually. Below are some of my pop-ups. The two most complex pop-ups are ones I’ve worked on this last week. The last three ones I made in a few minutes in the class with scissors cutting by hand. If you are interested in learning to make pop-ups, I recommend Carol’s books in the “Pocket Paper Engineer” series. They have excellent illustrations and explanations. Even better, they have pages for you to cut out and work on pre-designed pop-ups. These pages show you all the techniques of pop-up books, starting at the most simple and becoming more complex. My big project this week: the Old Courthouse and the Arch in St. Louis. I programmed this in Illustrator and used my Silhouette Cameo to do the cuts. 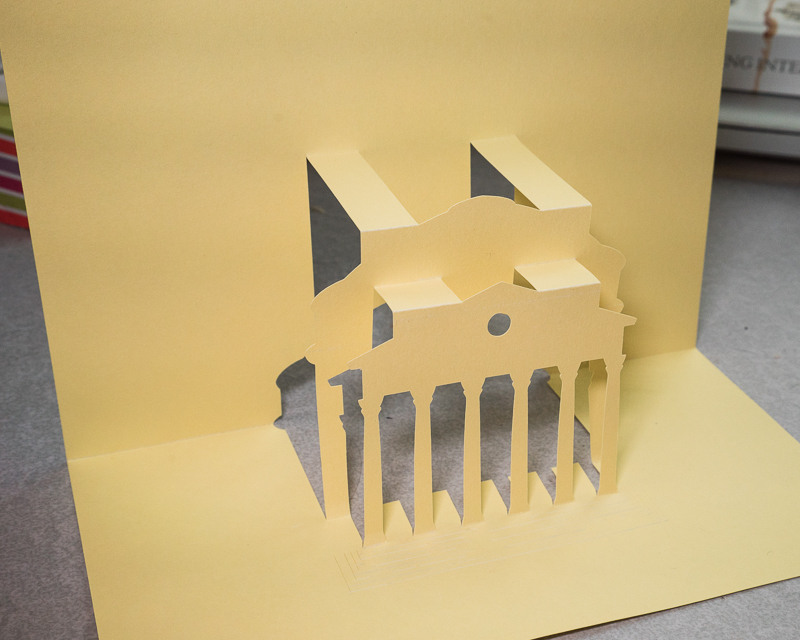 Preliminary work on a pop-up of UVA’s Rotunda. A simple saddle pop-up, cut by hand in class. A pop-up made of a series of box pop-ups. It looks fancier than it is– it took no planning and only a few moments of snipping and folding to make. 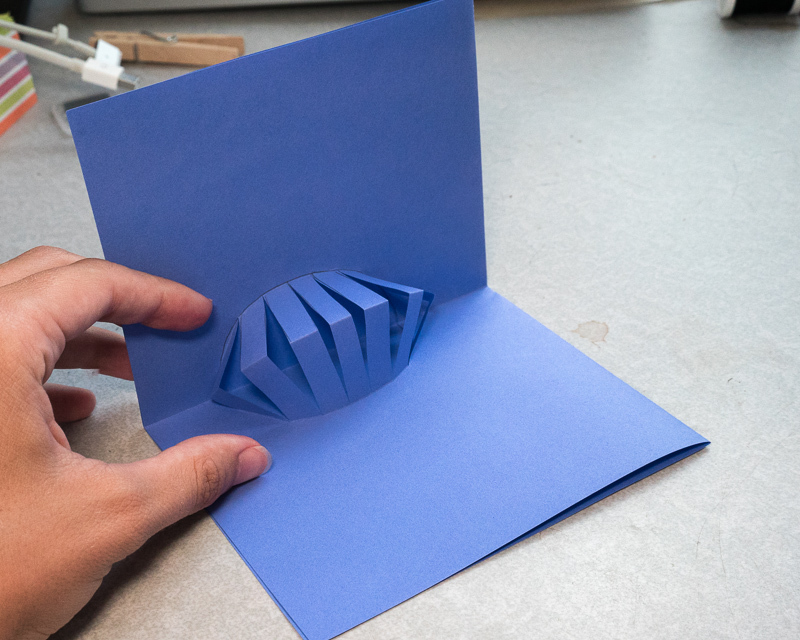 A series of box folds to make a very simple yet in my opinion really interesting pop-up. 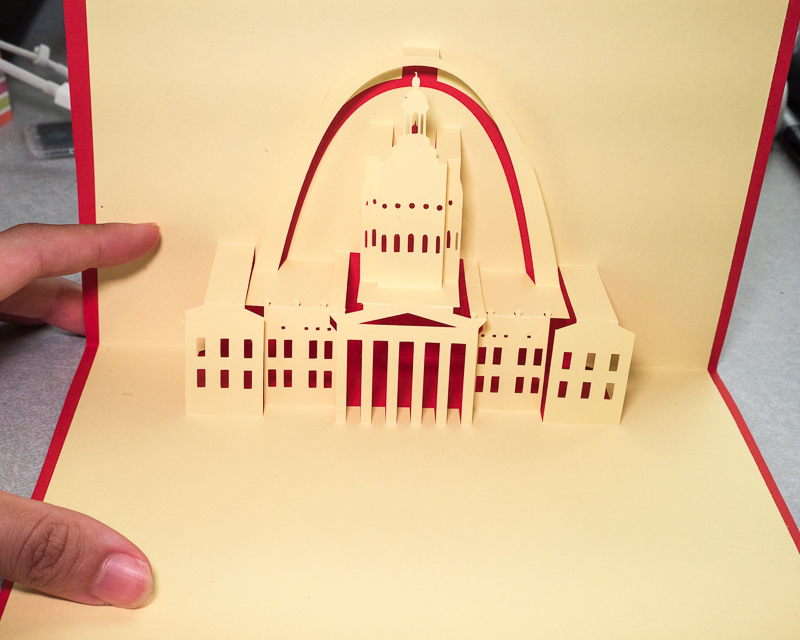 This entry was posted in Uncategorized and tagged books, carol barton, making pop-ups, paper craft, paper engineering, pocket paper engineer, pop ups, pop-up books, popular kinetics, popups, silhouette cameo, st louis arch, st louis old courthouse on September 1, 2014 by Vironevaeh.